Lately, rumors have been floating around about a secret Geonosian biogenics research lab where the Geonosians were experimenting on creatures, giving them horrible powers. 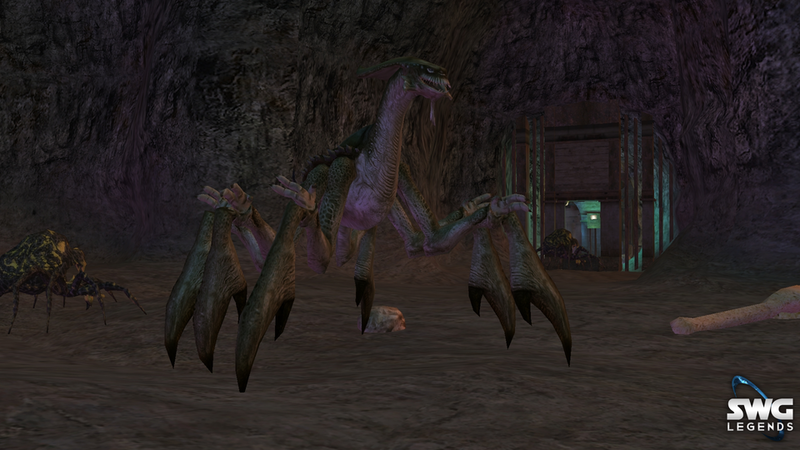 Some creatures were being engineered for use in the Geonosian execution arena. There are even Acklay being twisted for their foul purposes. Other, more sinister creations such as mutated Kwi's and Klikniks with force powers were being developed for use as minions of Sith. This base is quite real and is hidden. Recent seismic events have compromised the base's integrity, disabling the holo-generators that hid the entrance to the complex. The tremors have also caused minor cave-ins, structural collapses and sporadic power loses resulting in mass chaos throughout the complex. 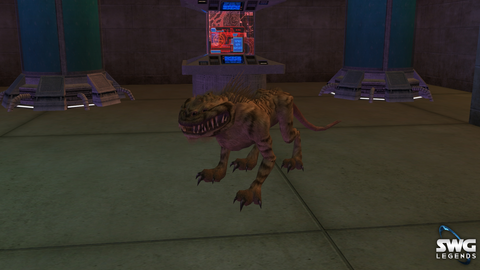 The Geonosian Bunker has several NPC's that players can interact with to find the dungeon while staying immersed in their game play. The hidden bunker on Yavin 4 was commonly used to mutate many creatures such as the Acklay. A report states that a mutated Acklay was released by the Geonosians on Yavin 4 close to the laboratory, possibly as a deterrent to prying eyes. The Imperials, the Rebels, and criminal syndicates want to steal the Lab's technology. Soon after the Battle of Yavin 4, word spread around the Galaxy about this secret Geonosian biogenics research lab where Geonosian scientists were experimenting on creatures and mutating them for use in the Geonosian execution arena. 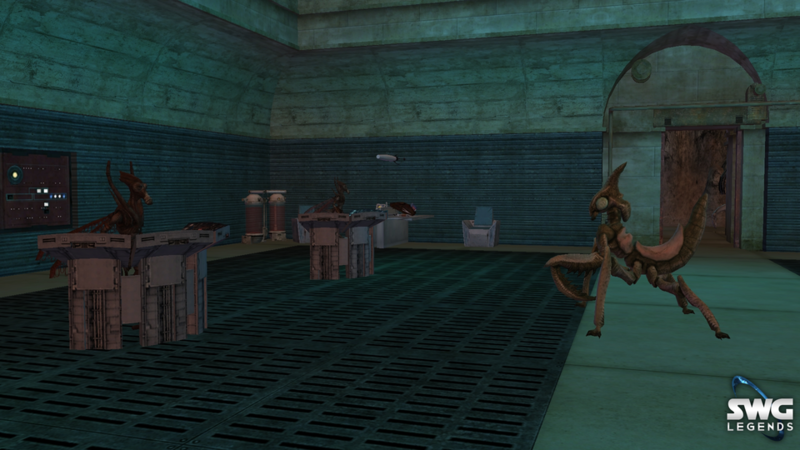 Other, more disturbing creations such as mutated Klikniks and Kwi's were being created as well. 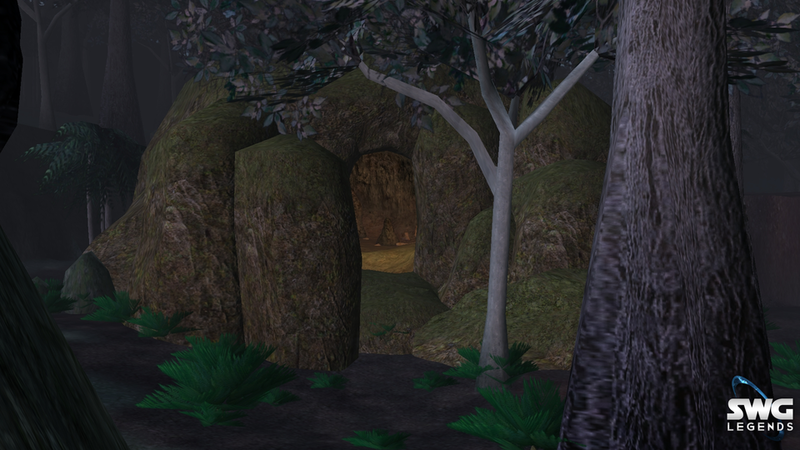 This was a well-hidden base in Yavin 4's immense jungle, where the location has been verified. 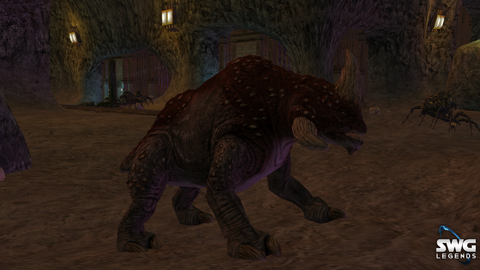 Creatures known as the Reek & Nexu also reside within the Geo cave. Beast Masters should approach these beasts with caution if they wish to obtain any potential DNA! Make sure to use extreme caution as you venture into the caves, and you would be wise to bring your friends while exploring these dangerous spaces. If it's been a while since you visited the cave, stop back by to see what you might be missing. Hope you’ve enjoyed learning more about this unusual cave. If you wish to read a full walk-through of the cave you can find this here. Last edited by Laviz; 02-08-2019 at 01:16 PM.